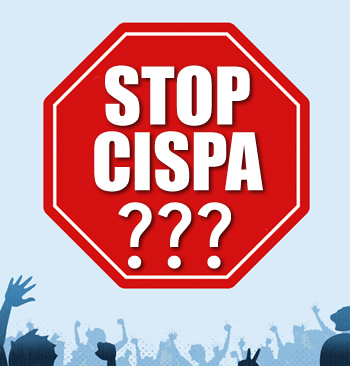 Mozilla broke Silicon Valley's silence over the Cyber Intelligence Sharing and Protection Act (CISPA) late Tuesday, after expressing its concern that the bill reaches far beyond just internet security and actually infringes on rights to privacy. Until this point most companies have either remained silent, or quietly supportive of the bill, making the creators of the popular Firefox web browser the first major tech company to stand up against it. This is not the first time Mozilla has spoken out against proposed legislation. In January they joined Wikipedia and Reddit in a "blackout" in protest of the Stop Online Piracy Act. The controversial bill was ultimately canned. Even the White House administration threatening to veto the bill did little to sway the floor after the US House of Representatives voted 248 to 168 in favor of the legislation, which ultimately, will encourage companies to voluntarily share private information in return for immunity from prosecution under existing laws. Potentially, such immunity could be given even when due process and violations of constitutional rights to privacy are broken in the process of the release of such information to "certified entities," mainly cybersecurity agencies and those with government security clearances. In an emailed statement to Forbes, Mozilla's lead for Privacy and Public made clear the company's position on CISPA. As it currently stands, the bill has some of the biggest firms in the industry supporting it, including Facebook, Microsoft, IBM, Intel, Oracle and Symantec. Even US wireless carriers AT&T and Verizon signed their approval. Google is yet to decide on what stance to take with CISPA, though: "We think this is an important issue and we’re watching the process closely but we haven’t taken a formal position on any specific legislation." Microsoft on the other hand, said its position remains "unchanged" over CISPA, despite earlier reports that the Redmond-based software giant was reconsidering its position.